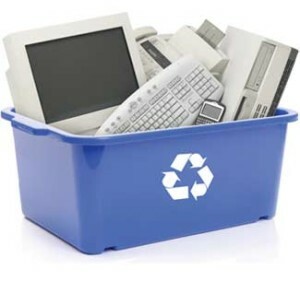 R&F Disposal is pleased to provide services to encourage recycling. We offer a buy-back center for recycling of beverage containers. Used oils and filters for recycling or proper disposal. Call 661-792-3937 for information on recycling these items. Mandated Commercial Recycling (AB341): The State of California requires that a business that generates more than 4 cubic yards of commercial solid waste per week or a multifamily residential dwelling of five or more units must arrange for recycling services. Let R&F help you comply with the new law and Go Green! Recycling just one glass bottle saves enough energy to light a 100-watt light bulb. It takes about 1,000 years for a glass bottle to break down at the landfill. Using recycled scrap paper saves 7,000 gallons of water per ton of paper produced. 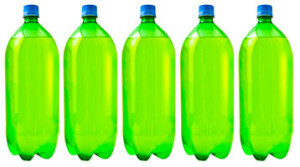 Americans use 4 million plastic bottles every hour – yet only 1 bottle out of 4 is recycled. Around 200 BC the Chinese used old fishing nets to make the word’s very first piece of recycled paper. Five 2-liter plastic bottles make enough fiberfill for a ski jacket. It takes about as much energy to make one new can as it does to make 20 recycled cans. About 22% of all glass beverage containers are recycled. The U.S. dumps about 8 million tons of magazines each year. If just half were recycled, we could save over 12 million cubic yards of landfill space.